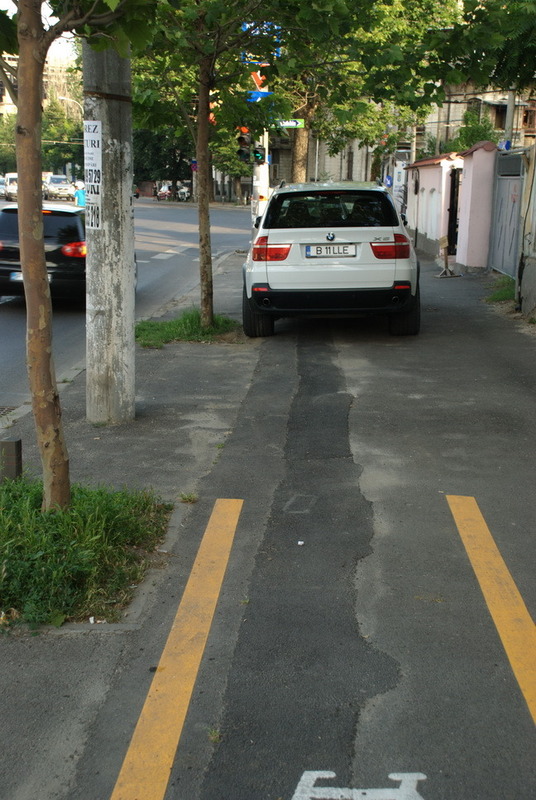 4 years ago, the Bucharest Road Administration built a series of bike paths. Awesome! 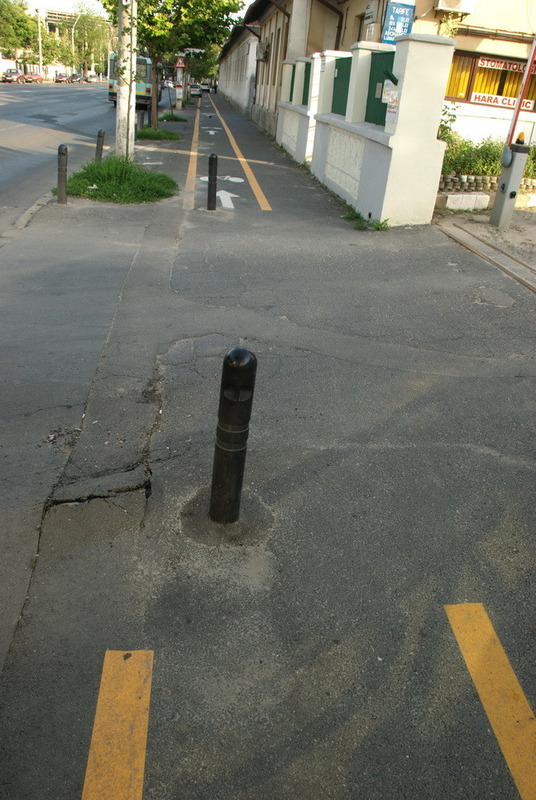 It seems that these paths were more expensive than Bulgarian highways – all the math is here (in Romanian). So that means the paths must be awesome. Then I tried using them in an area with some heavy traffic. 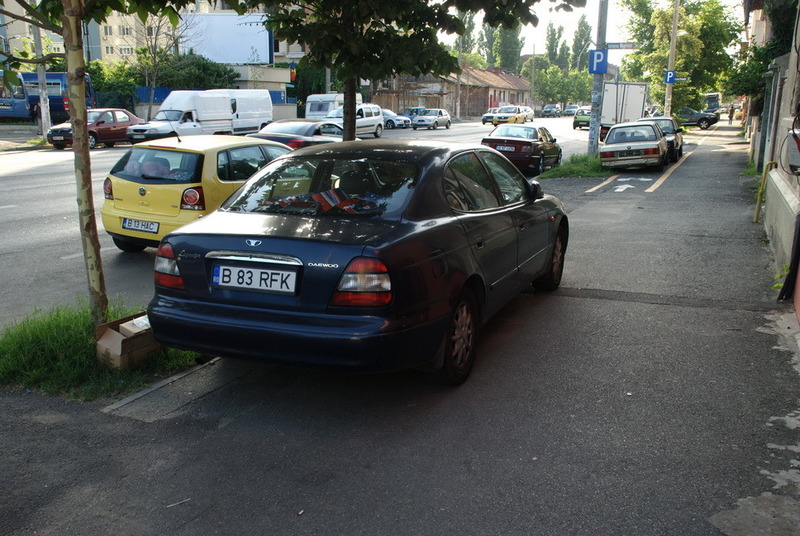 After almost hitting some pedestrians because they jumped in front of my bike (who would blame them, the bike paths are build on the middle of the sidewalk), I stopped using them and went back to the road (and dodging buses and taxis – which is actually easier than dodging unpredictable pedestrians). This year, I was happy to discover an organization, Optar, that was promoting biking as a means of transportation. 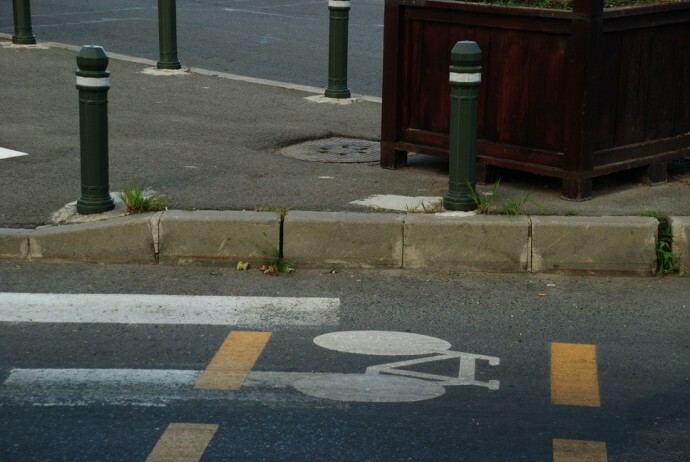 They are now trying to put pressure on the Bucharest Road Administration in order to close the existing bike paths and build new ones, that are safe for cyclists and pedestrians. I decided to help them. 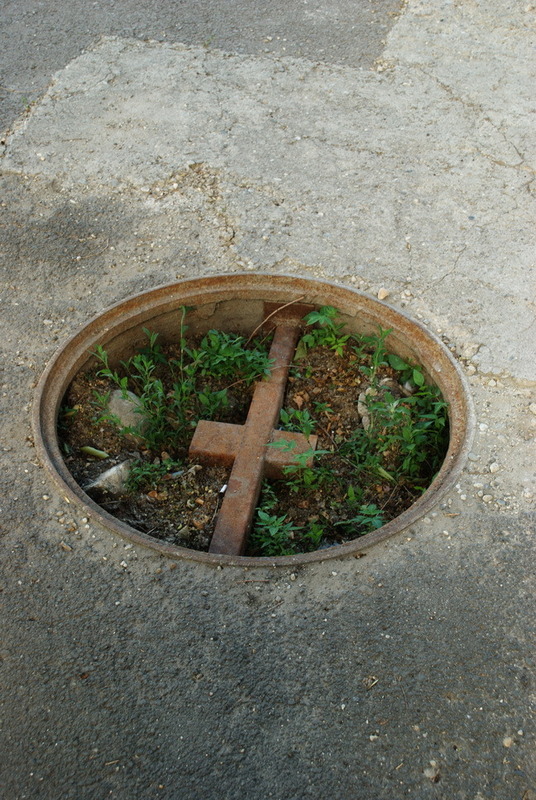 I took photos of a nearby path. They hired a lawyer who used my photos and filed a complaint (or whatever it’s called) to the Police. Last week they got notice that the Police is closing 8 paths, including the one I “adopted”. 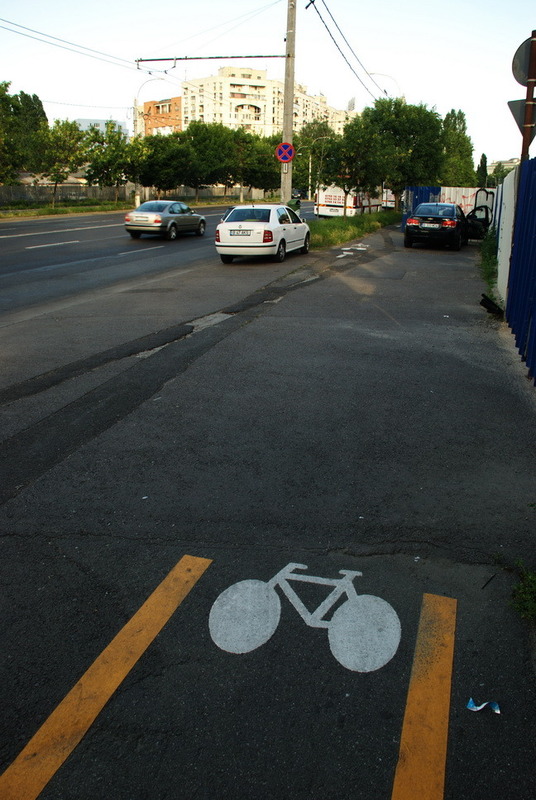 Finally, we have a step forward for cyclists in Bucharest. But I still can’t believe this step forward takes us to where we were 4 years ago (neglecting the obscene amount of money spent). 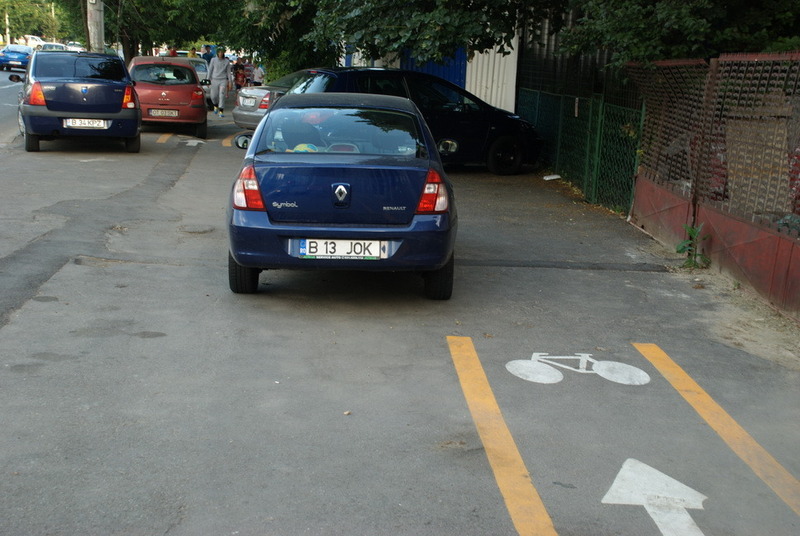 Already, there are 2 new bike paths that are built on the road, respecting the pedestrians’ space. I’m looking forward for the day when we’ll find a way to stop cars parking on them and start actually using them.